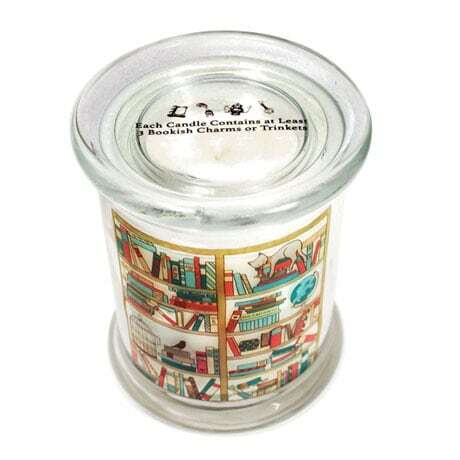 This lovely little candle evokes images of rich libraries with the scent of teakwood, black tea, exotic spices, and aged pages. 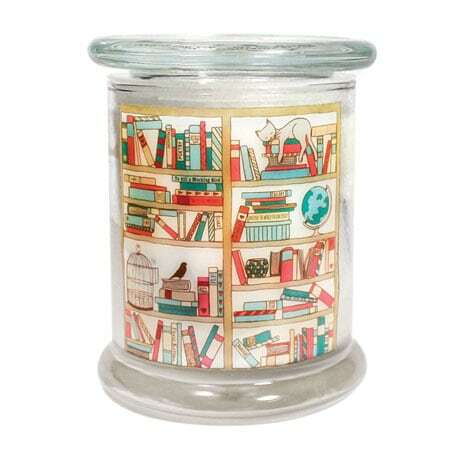 The front of the glass jar features an adorable bookshelf laden with tomes (and a sleepy kitty), but inside is where the magic happens—each 12-ounce candle contains at least three bookish charms or trinkets (shaped like typewriters, quills, teapots, and much more) nestled within the wax that reveal themselves as the candle burns. 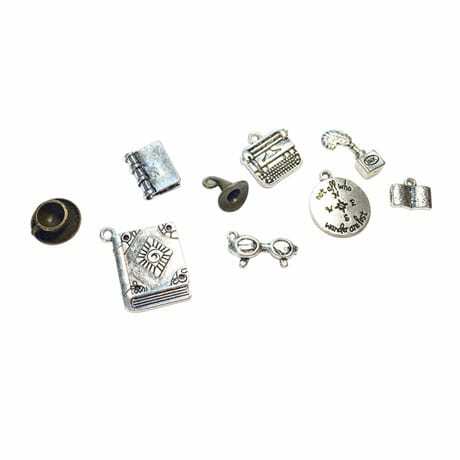 See what treasures you can uncover! Burn time: 75 hours.